This past weekend, the Saving Mes Aynak team came home with the Best Documentary Award - International One-Hour Film Competition at the CinemAmbiente International Environmental Film Festival. The festival, in its 18th year, took place in Torino, Italy from October 6-11, 2015. CinemAmbiente serves as one of the leading environmental film festivals in the world. In awarding this prize, CinemAmbiente recognizes Saving Mes Aynak for its "balanced presentation and concise treatment of the political, cultural, human, social, and environmental issues in present day Afghanistan." Congratulations to the Saving Mes Aynak team and collaborators! You can catch the award-winning film this Saturday, October 17 at Yale University as part of the Yale Himalaya Initiative Series, followed by a discussion with Director and Northwestern University professor Brent Huffman. 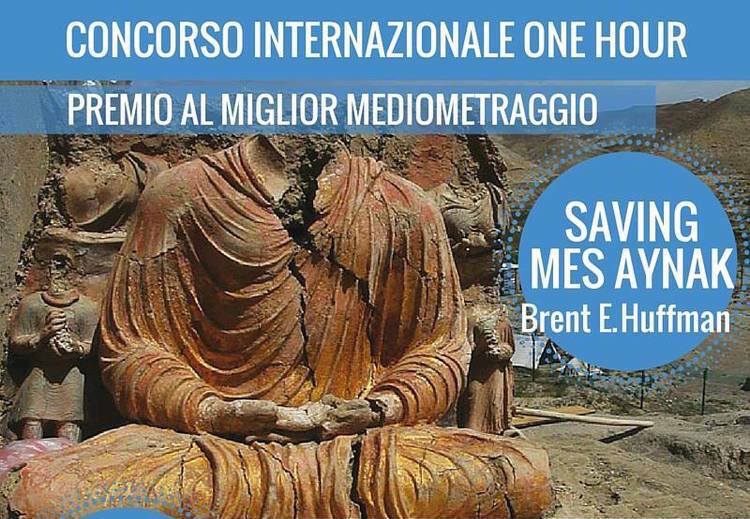 Find other Saving Mes Aynak events here or on their webpage.